In ancient Egyptian "Neb Heru" /NEBHERU/ House of Horus/Venus was known to have had different places in the solar system in the past before stabilizing. All of this occurred after the death of Horus’ father Osiris fragmented into pieces . 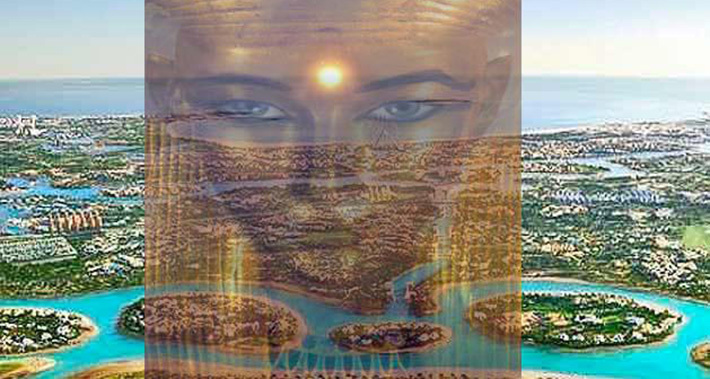 In all ancient Egyptian texts referring to ancient times we speak of the eye "associated with the word planet". Hathor was the wanderer planet who created the panic and major damage to humans at certain times. It is said that these disasters started agreement with the God Ra, due to the impiety of men. And then it was very hard to stop the wandering devastating Venus. However, it is thanks to this "movement of" Venus that Horus: NEbHeru / VENUS took the opportunity to attack his opponents, the forces of evil in the universe . Horus / NEBHERU / Venus was then considered a new bright sun which seemed to go back and forth to Earth throughout times. So the so called "Nibiru" is not another planet, it is Venus in the past according to the Ancient Egyptians and what happened is past. There are no Sumerian tablets that speak about Nibiru,they do not exist! 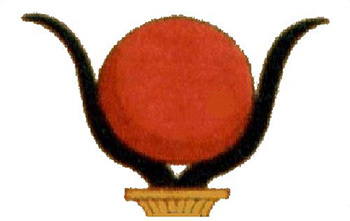 Many people for years asked Sitchin to point out to them where in the Sumerian tablets the references to Nibiru are, but he never gave them this information.In addition, the name used in the documented tablets to identify the original home of the Anunnaki is Duku, which means "the sacred mound". It has nothing to do with the word Nibiru. Instead, the writers of the Sumerian tablets speak of the Supreme constellation, i.e. the Pleiades (as Mulmul). References to them are well represented in the tablets.So what they are talking about in the tablets is actually the « Mulge », another planet that would have been destroyed and which is now believed to be in pieces in the asteroid belt between Mars and Jupiter. And its satellite would had been ejected from its orbit during the conflagration. According to many ancient traditions this is our current Venus. So the Nibiru story of today that is spread from years now with all it's fears is a total hoax...and the references in ancient texts of many ancient traditions are speaking only about what suffered Venus in the past. 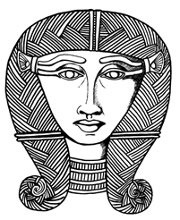 Hathor Hair curls : the path of the planet inside the Solar system in the past; as well in the horns of the sacred cow another symbol for Hathor. 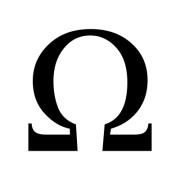 As well in the Omega sign : Omega describing also the ancient "forced" path of Venus. 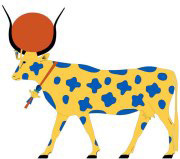 For that reason Hathor is depicted as a celestial cow with the cosmos, stars and planets in her dress and with a globe inside her horns.